Kinokuniya has the biggest selection of foreign books in Japan, and they were having a big sale on YA and a bunch of other stuff, so of course I had to visit! I didn’t see anything I wanted on sale, but I did sit down on an uncomfortable little stool and read all of This One Summer without being disturbed. Most of their graphic novels and all of the translated manga is wrapped in cellophane, but there was a preview copy of this one available, so I picked it up after reading about it on Stacked while I was still stuck at work. This was a good summer read, but I wouldn’t take it to the beach. It was slow and dreamy, in a good way; a great compliment to the misty rain outside. A lot happened, but if you asked me what it was about, all I could tell you is “this one summer, where Rose and Windy grow up a little bit.” Or maybe they’ve been growing up a lot over the year between when they see each other when they stay at Awago Beach, and now their friendship is a little different. It’s an in-between point: the girls meet and spend time together over summer vacations at the beach, and this summer is in between childhood and adolescence; Windy is younger and more immature, but she’s also more adventurous and eager to explore, while Rose is more grown-up, but also a little more reserved. Rose and Windy’s families only stay on Awago Beach for the summertime. Rose’s family owns a cabin, and Windy’s family rents, but they’re summer people. The contrast between their lives on the beach and the lives of the people who live there year round was understated – everything in this book was understated – but it drew me in, made me wonder. My family had a tiny cabin on a beach when I was younger, but it was still in Vermont, where we lived anyway, and Vermont doesn’t have tidal changes of summer and winter people, but now my mom lives on Cape Cod year round. I can’t say what it made me think, only that it made me think. The art was beautiful, and the blue-on-sepia was a perfect choice for the atmosphere of the story. I’m leaving out a lot of the subplots, because there are many and to write about them all would take all day. I think I want this one for the high school library; certainly, it isn’t appropriate for my elementary schoolers, but I think it might be a good intro to graphic novels for people who think it’s all Marvel and manga. #bookaday Day 3: it’s a princess party! Just coincidentally, today I finished two princess-y books: Meg Cabot’s The Princess Diaries, published in 2000, and M.M. 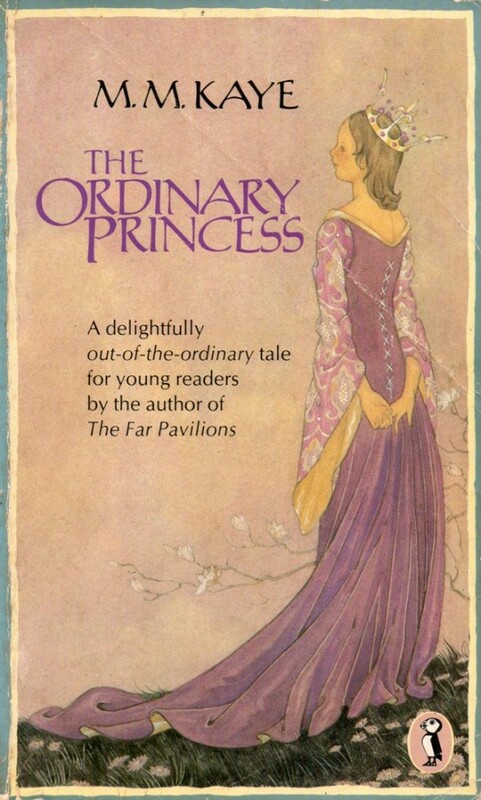 Kaye’s The Ordinary Princess, published in 1980. Let me tell you, The Ordinary Princess has aged a lot better. I hadn’t thought of it this way, but Wikipedia lists it as a retelling of Sleeping Beauty, which I guess makes sense. Princess Amethyst Alexandra Augusta Araminta Adelaide Aurelia Anne of Phantasmorania is given the gift of “ordinariness” by a fairy invited to her christening. She has adventures running away into the woods and finding work as a kitchen maid, eventually meeting a man-of-all-work who turns out to be a king and they get married and live happily-ever-after. OK, I was kinda hoping she would settle into happy spinsterdom in the Forest of Faraway, but maybe the book is a little too old for that. I’ve said before that I’m a little tired of fairy tale retellings. They feel a bit stale, but this one was fun. Some of the jokes were a bit hokey – the Kleptomanian princes who would steal all the cutlery? – but the simple, silly names added to the delightfully straightforward fairy tale feeling, while at the same time, telling a bit of an unexpected story about Princess Amy, who is very ordinary, especially in comparison to her six beautiful older sisters. I liked this story. It was short and sweet, a nice escape from the crowded train I crush into on the regular. Meanwhile, back at home, I was reading a paper copy of The Princess Diaries. Usually when I feature cover images here, I pick my favorite. This one is kind of ugly and outdated, which is actually how I felt about the book itself. At first, it was kind of fun. I mean, how many of my students will “get” why Mia can’t call her bff Lilly while her brother is online writing for his webzine? Hint: probably none of them. So that kind of thing, and references to Leonardo DiCaprio being so 1998, made me laugh. Then it just got boring. I never read these books as a kid, although I would have been about the right age (11, when the first volume was published). I’m glad that I didn’t; the relentless heteronormativity and Mia’s obsessing over her flat chest and her crush on dreamy whats-his-face would have turned me right off. There’s nothing wrong with a character who wants to be beautiful and date boys, but it’s not for me and it got old, fast. So when I got sick of that, I started comparing changes from the book to the movie, which I actually really like – but of course, trust Anne Hathaway and Julie Andrews to make two unlikeable characters your bffs. Grandmere was a completely different character in the movie from the book, and I like Julie Andrews’ version better, to be honest. 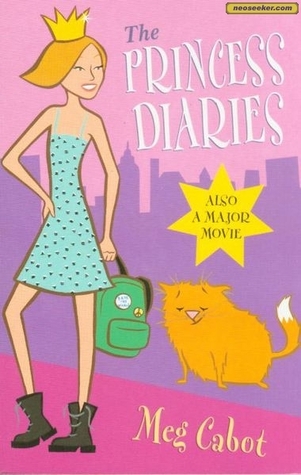 There were changes in the plot, too: like Mia’s father being deceased in the movie and infertile in the book, and Mia living in Manhattan in the book, but San Francisco in the movie, or basically, Mia being a snotty little brat in the book and a likable if awkward girl in the movie. I did not enjoy this book and I really had to slog through it at the end. While walking around Tokyo yesterday, I stopped in at Kinokuniya, which has the largest selection of foreign books. My friend and I had been walking around for hours, so we decided to stop in and sit for a bit in the tiny reading area and I picked up some picture books to read while we rested our feet. Although there are usually a few scattered chairs in bookstores around here – big ones, anyway; the little ones in and around train stations, not so much – their hard wooden bottoms make my bottom yearn for the good ol’ days of the big Barnes & Noble across the street from the University Mall in S. Burlington, VT. They had these great big squashy chairs and delicious Italian sodas. But we got as comfy as we could and I paged through some picture books. 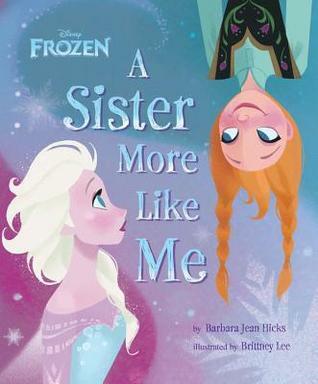 The first one to catch my eye was A Sister More Like Me, a Frozen tie-in picture book, told in rhymes, about how Anna and Elsa both wish their sister was more outgoing/introverted, playful/serious, etc., like them, but they learn to like each other for who they are. Was it an award winner? No, probably not. Would my students adore it? Definitely – except that we don’t buy tie-in books. It’s not that it’s a bad book, but I don’t think the budget allows us to get stuff like this and I feel like we should focus on better quality books? My student population can probably afford to buy this book if they want it, but it’s earmarked to ask my boss about it when we get back to clarify the policy, because now I’m curious. I think it says something about the over all quality of children’s books these days, especially picture books, that even a cheap tie-in picture book had really pretty illustrations and a bit of meta, when Anna and Elsa introduce their text: pink for Anna, purple-blue for Elsa, so you know who’s speaking. The next up was Help! We Need a Title!, by Hervé Tullet. I love Tullet’s Press Here, and unlike A Sister More Like Me, I’m on the edge of my seat, waiting to get back and put in a requisition form to buy this book. It’s a great mentor text for writing stories, about characters, plots, drafting and editing, setting, where to get ideas, and it’s fun. Remember what I was saying, about meta picture books? This one takes it to a whole new level, with photos of the author himself collaged in when his characters come to him and demand he tell a story about them so the reader has something to read. The last but not least before we had to go eat dinner was The Pilot and the Little Prince. Now, I love The Little Prince. I’ve loved it ever since my fourth grade teacher read it to me and I loved reading it to my fourth graders this year. (Even if they didn’t love it, themselves. Kids these days.) 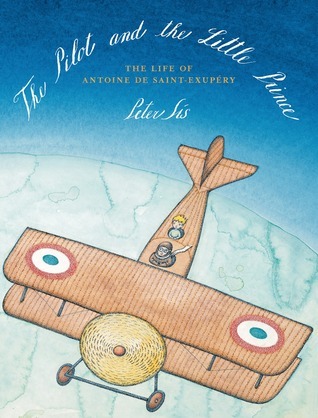 I visited The Museum of The Little Prince in Hakone when I was up there in 2012 and learned a lot about Antoine de Saint-Exupéry, but this book… It was so beautiful. My big regret about reading it in the bookstore was that I didn’t feel like I could really sit there and absorb all of the details, in the “sidebar” text scattered over some pages, and even in the illustrations themselves. The tone of the book really fit my mental image of Saint-Exupéry, and I loved it. 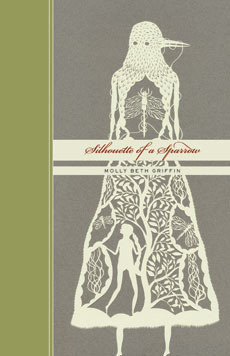 This is another one that I want for my library in the fall, because it’s beautiful. 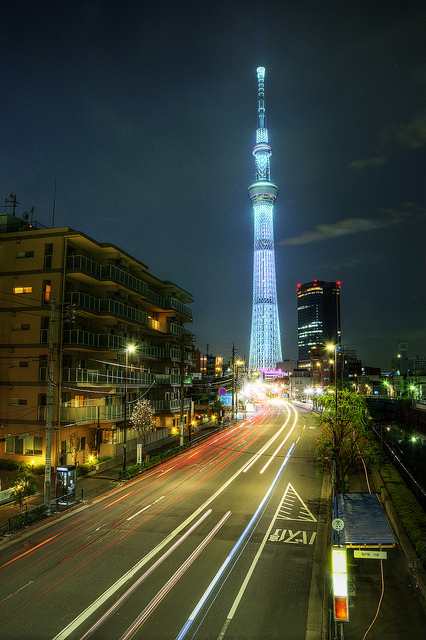 If you had told me, back when I went to the B&N in S. Burlington, VT and bought $10 manga and Italian sodas with my mom and curled up in those squashy chairs by the window, that I would someday, basically, get paid to read books in Tokyo, I would never have believed you, and yet… here we are, reading books in Tokyo, as part of my job. Writing this, I think even of the hours and months my high school best friend and I spent obsessing over fictional characters on soap operas. None of which led us to stab anyone, but which was certainly symptomatic of how powerful and intoxicating escapist fantasy from the sometimes scary world of female adolescence, especially in thrilling tandem with another person, can be. The intensity of bonds between young women have gone especially underexamined in recent years. For generations, it was accepted that adolescent girls might form highly emotional, deeply felt relationships with each other, kind of proto-marriages. For periods of American history, adolescent and teen schoolgirls regularly shared beds, openly expressed their adoration and devotion to each other and were sometimes said to be “smashed”—entwined in committed partnerships. But in the early-20th century, as heterosexual marriage came to be seen as a relationship based on emotion and mutual desire, female partnerships began to be seen as competitive and suspect. And on the playground, when my friends and I pretended to be other people, I pretended to be boys. It’s entirely possible that many fans who complain that the Harry Potter books should bear Hermione’s name instead are reacting to this very trend, the insistence that women are never the central figures no matter how much know-how, bravery, and fortitude they contribute to a story. Moreover, the lack of these figures in popular adult fiction sends a hard and fast message to female readers and viewers: that once you grow up, you graduate to adult books and adult characters — and they are men. But here’s a question no one is asking… is it possible that the reason for YA’s popularity amongst an older crowd is in part due to the fact that there are so many female protagonists to chose from? Are we running toward the genre with our arms wide open because we see something that we want and don’t find elsewhere? Let me admit a secret. I probably won’t make my Book-a-Day Challenge this year without reading more than a few picture books and graphic novels to hedge my bets. You probably won’t either. Book-a-Day is not a competition. It’s an opportunity to enjoy marvelous reading experiences and rededicate ourselves to daily reading. Ultimately, it doesn’t matter what we read, or how much, or when. What matters is that we have fun and indulge in our favorite leisure activity—reading a lot of books! For me, the key to reminding myself of those things and also actually writing is first to buy a non-intimidating journal. Because I am ~a writer~, many a well-meaning person has gifted me with beautiful $25 journals with like gilded angels on the front and matching silver unicorn pens (that is a real thing, not a joke). This is a wonderful gesture, but because I am also ~full of anxiety~, I can’t bear myself to sully it by ever actually writing in it, because nothing I write will be worthy of that notebook. 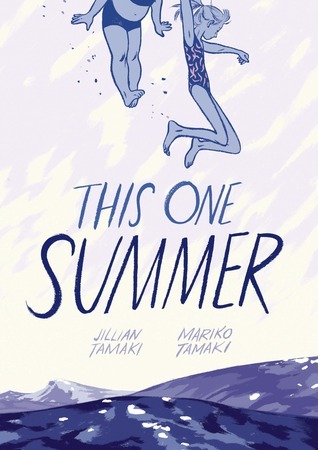 Once upon a time, Kat Callahan asked for book recs for YA lit with gay and trans characters. I got name-dropped straightaway by someone else, which was deeply flattering. So here I am, color-coded list and all. Titles with a pink star (★) feature lesbian characters. Titles with a blue star (★) feature gay male characters. Titles with a purple star (★) feature bisexual characters. Titles with a green star (★) feature trans characters. I’ve tried to include only titles with prominent queer characters, but not necessarily protagonists. Summaries probably include spoilers. I’ve sourced them from Amazon.com unless otherwise noted. Note: I was blown away by the incredibly tender love scene between bisexual Pen and transgender Hex. It wasn’t any more or less explicit than you’d find in your standard cis|hetero YA make-out scene, but it’s one-of-a-kind in YA as far as I know. Dirk MacDonald, a sixteen-year-old boy living in Los Angeles, comes to terms with being gay after he receives surreal storytelling visitations from his dead father and great-grandmother. Note: Dirk and his boyfriend, Duck, are in a committed relationship throughout the series. This is the first book I read that addressed HIV/AIDS in the queer community, which is why it’s on this list, but there is some appropriation of Native American cultures by the characters that is never addressed. I have a longish list of titles, but I’m going to take the time to (re/)read each one so I can decide whether or not I’m comfortable recommending it. Check back for more! 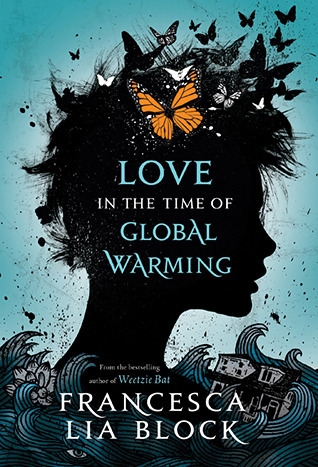 In the meantime, YALSA has a booklist from last year, Trans* Titles for Young Adults, and Celine Kiernan directed me to this Buy a Big Gay Novel for Orson Scott Card Day booklist (from 2011).